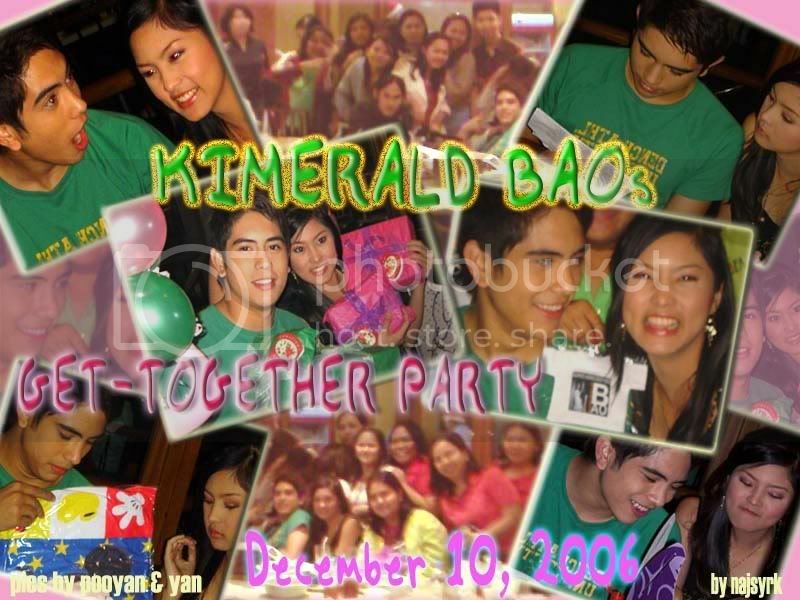 *Feel free to add your name/username on the list if you'd like to join the still growing, KIMERALD FAMILY. * Please take out the quotes when you list your name.Thanks. Gerald: Helo, d2 kme ngayon sa dresing rum...Hawak namin ang,ang awards namin 4 pop love team of da year.! Gusto ko mapasalamat sa lhat ng suporta,ito yung mga reward ngayon s all bcous of u! 10. Kim, Gerald and Fred dressed as kids, nagnanakaw ng pansit na luto ni Lola Jamilla. 18. Kim and Gerald at the kitchen counter after pinakinig sa kanila ni BB ang kuwentuhan ng girls about Mikee. 80. Tinatakot ni Kim si Gerald ng salagubang. 84. Gerald told Kim about what happened sa ingrown operation nya (from primetime). 120. Kimerald: Sino ang vain? - Kim and Ge danced separately in front of the mirrors and teased each other on who is more vain. 124. Prepare to fall in love with the Amboy hottie as he sweeps the girl housemates off their feet with one chivalrous act... we'd like to think he did this for Kim, who in turn was very impressed. 1000 pogi points for Gerald!!!! Gerald impresses the girls with his sweet gesture, pati si Kim napasabi ng, "napaka-Gentleman naman, parang si Piolo!". Thanks to Regina. 125. Gerald pinagtripan si Clare, Kim tawa ng tawa. This was after the duck task of the boys. Thanks to kristine. From Episode 9: Jasmine's Death Scene at ang revelation kay Travis kung sino ang totoong Poknat. Hindi sana, hindi sa tulad mo. "Matud Nila" (They Say) is, I think, the most popular romantic Cebuano song. A favorite serenade piece in the 40's. Since I'm a proud Bisaya, allow me to pause from my usual postings and present to you my English translation of this Visayan kundiman classic. I hope this will help you understand the song and appreciate it the next time you listen to "Matud Nila." As I have no treasure to offer you. If it is devoid of your love? My dream and hope for your love. Sobrang saya ko naka-graduate tayo ng high school, ngayon magco-college na tayo. >> laughtrip. haircut session of kimerald. >> laughtrip 'to. 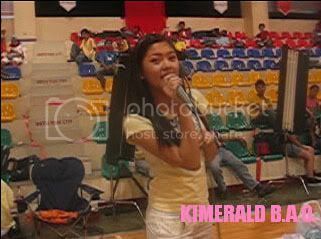 one of the early kimerald akbayan moments. PBBT: "Bring Me gamit: Socks ni Gerald"
>> "kim, di halata o" moments. unang todong harutan nila. >> clare and kim teasing ge then shifts to teasing clare about scuba task. 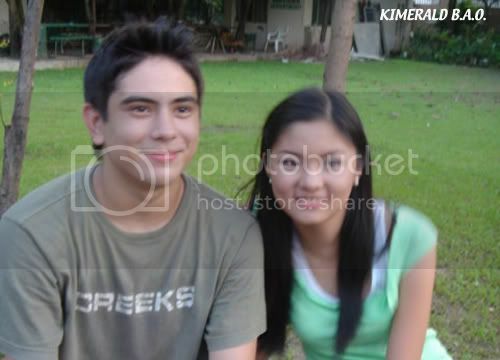 >> kimerald laughtrip... ironing gerald's hair and napaso ni kim si ge. PBBTE: The housemates discuss about Gerald's "habit"
>> gerald teasing kim about her message to tita connie (doing the "hello po" wave of kim). >> before eviction night. kimerald talking to the camera. kim asking the cameras if gerald is vain. gerald asking the cameras about kim's future endorsements. >> hundred islands, kimerald on their own. kwento about mga utot ni kim. kinuwento ni kim yung utot nya during serious mode ng mga girls sa confession room. PBBTE: Kimerald moment @ the garden by the pool. *Special thanks to Lookilu and thetvripper for the wonderful videos. 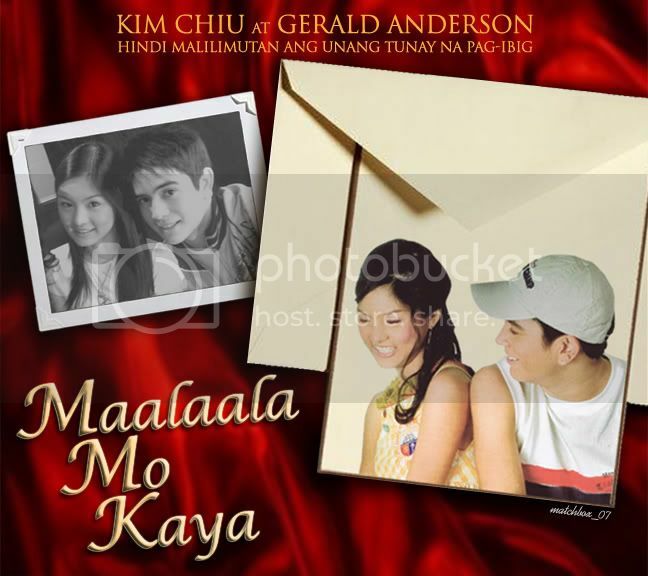 This is where Kimmy chose Gerald! Mariel: Kim at Gerald, four in a bike ang task! Hindi two in a bike! The bride and Aladdin! Plus, Kimerald's dance moves. Eto yung titig ni Kim kay Ge during the haircut hehe. Big 4 with Jollibee. 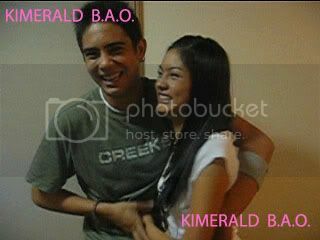 LOOONG KIMERALD HUG. Gerald's message for BB using white rocks. Kim: Shempre papa ko yun eh! Ice task, about ykw being PIKON, footspa. Facial c/o Belo Med Grp. Bianca interviews Kimmy about Ge hihi. Kim and Gerald! Super sweeet! sana maulit muli - gary v.
sana maulit muli - regine v.
Part 2: Window, Taho, bedroom, "I Heart You"
This episode was great and both Gerald and Kim had plenty of scenes. Thanks to Lookilu for the SCs and the edited videos!